Finding time to blog is something I'm struggling with at the moment. I don't have to do it but I enjoy it. I've thought about giving up but I miss it. One aspect of blogging I'm not ready to let go is my blog circles. Every month I join in with some wonderfully talented photographers and post some photos revolving around our open theme of "for the love of...". My theme this month is summer. It's here and it's glorious. While I haven't spent as much time photographing as I did during my stay at home mom days (seems long ago and it hasn't even been a month yet - geeze) I've scored a few keepers here and there. The kids love splash pads and there's an abundance of them in Indiana. On this particular day Preston wasn't feeling it. He wanted to roll with the big kids and his Daddy on the playground. Cameron didn't disappoint. 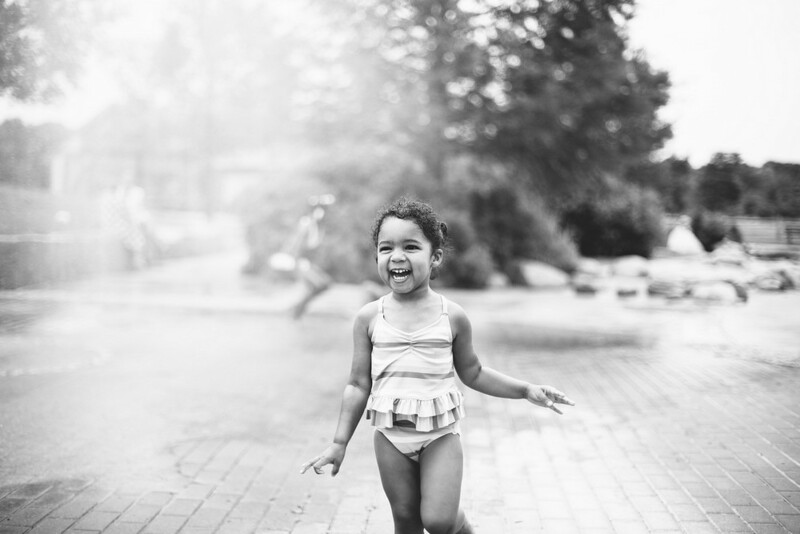 She splashed, danced, and smiled until it was time to go home. Summer is here. We love it. Next up in the circle is the lovely and talented (said in my Bob Barker voice) Melissa. hello, hey, hi, how you doing?